Singapore’s Changi Airport is testing and developing robots in Terminal Four, its smallest and newest facility, in order to unleash them in Terminal Five, slated to open at the end of 2030. This would make the upcoming gigantic Terminal Five, of passenger capacity 50 million a year, one of the largest and most automated airport buildings in the world, Bloomberg reported, . Government-controlled companies and the civil aviation authority have already come together to test robots in Terminal Four. 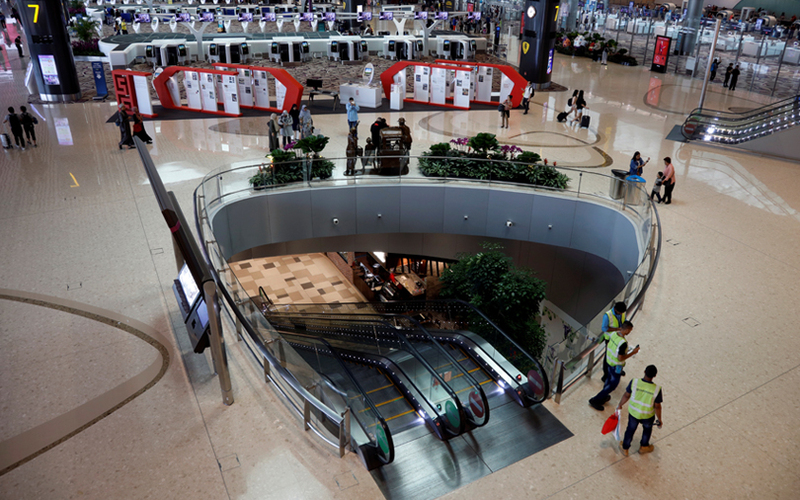 Plans for extensive automation inside the airport result from Singapore’s ageing population, their unwillingness to work jobs where they need to move cargoes or pick-up trays and also competition with other airports that are expanding and upgrading their terminals and facilities. One of the government-controlled companies called SATS, which operates services on the ground and manages in-flight catering, is already testing a remote-controlled vehicle that can be used to ferry luggage from the plane to the conveyor belts in under 10 minutes. The firm is also working on autonomous vehicles to shuttle documents for air cargo between offices, the news agency reported, adding that it was also using light detection and ranging (LiDAR) in order to finalise routes for trolleys that would carry 200 kilogrammes of food to each location point. “More than one billion people in Asia will fly for the first time between now and 2035,” SATS chief executive Alex Hungate was quoted as saying. He added that automation was expected to help the company manage higher volumes with no additional manpower. Bloomberg also quoted SATS saying that value added per employment cost has gone up by 11% in the last four years. The airport currently employs 21,000 people. The report also said that a unit of Singapore’s state-owned tech company, ST Engineering Co., is working on autonomous aerobridges that will self-align themselves to doors of aircraft using lasers and cameras. Civil Aviation Authority of Singapore (CAAS) said that the same tech can be applied to other equipment or vehicles. CAAS is developing a smart tower that will use digital infra-red cameras to track airport traffic and guide aircraft in hazy or dark-weather conditions. *The headline and text of this article have been revised to correctly reflect the airport's use of automation technology.